From New York Times bestselling author Jay Crownover comes the fourth book in the Marked Men series. Saint Ford has worked hard to achieve her childhood dream of becoming of nurse. Focused on her work and devoted to her patients, there's no room for love. She doesn't need a guy making waves in her calm, serene life--especially when he's the unforgettable hottie who nearly destroyed her in high school. Dark, brooding Nash Donovan might not remember her or the terrible pain he caused. But he turned her world upside down . . . and now he's trying to do it again. Saint has no idea that Nash isn't the cocky player he once was. Uncovering a devastating family secret has rocked his world, and now he's struggling to figure out his future. He can't be distracted by the pretty nurse he seems to meet everywhere. Still, he can't ignore the sparks that fly between them--or how she seems so desperate to get away from him. But the funny, sweet, and drop-dead gorgeous Saint is far too amazing to give up on--especially since she's the only thing in his life that seems to make sense. Will their past determine their future? Saint Ford has worked hard to achieve her childhood dream of becoming a nurse. Focused on her work and devoted to her patients, there's no room for love. She doesn't need a guy making waves in her calm, serene life--especially when he's the unforgettable hottie who nearly destroyed her in high school. Dark, brooding Nash Donovan might not remember her or the terrible pain he caused, but he turned her world upside down . . . and now he's trying to do it again. 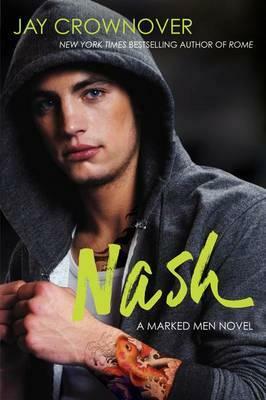 When Nash discovers the truth about their past, he realizes he may have lost her heart before he could even fight for it. Now Saint has to decide: is Nash worth risking herself for all over again?